Dispatch: Stars Hallow aka Collingswood, NJ - The 2nd Annual Collingswood Farmers' Market Salsa Contest. 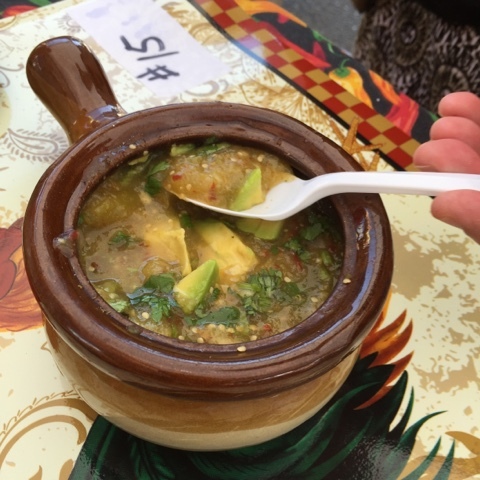 On a warm clear Saturday, 10 contestants gathered at the Farmers' Market at 10 am, to test their culinary prowess and creative interpretations of salas, in three distinct categories: Red Salsas; Salsa Verde; Fruit Salsa. 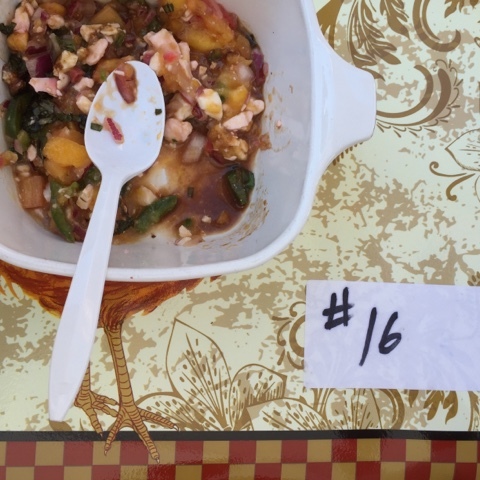 While we had 9 fewer entrants this year, we had strong contenders with high hopes and great flavorful salsas that challenged the 6 judges taste buds. 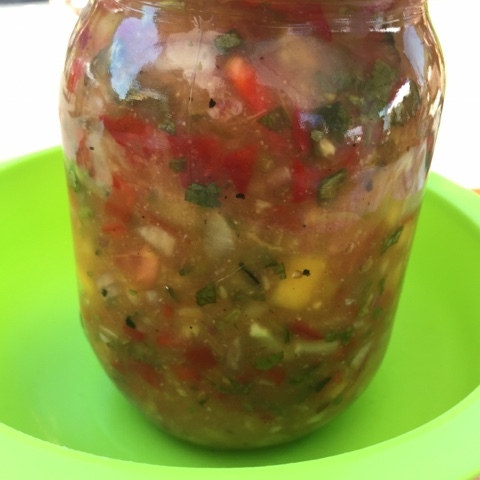 Two categories had guaranteed winners - the Red and Verde entrants just needed to have their entries place in winning order, while the Fruit Salsa category needed multiple tastes for the judges to finalize which we deemed clearly this season's best tasting salsa. It was no easy task - of the five fruit entries, the judges could not decide on second and third place. We had to break the tie, twice! 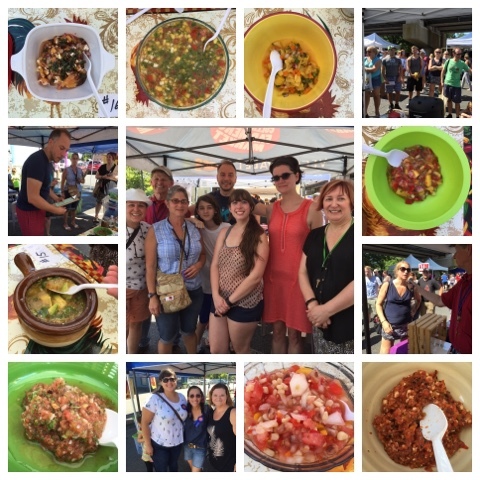 Our contestants ranged from 2nd time entrants, to several new folks who have deep talent with salsa making. 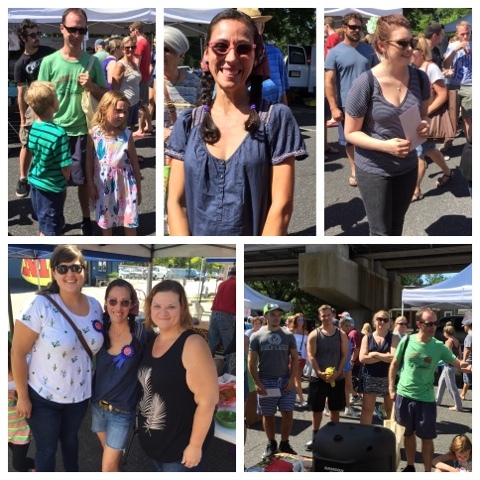 I recognized returning guests, Greg Dollak and his children; Entrant Deborah Cullman and her nephew, Nick, from Flaim Farms, Katie Leidy, who had previously entered in the pie contest; friends and first timers, Michaela Crabtree and Marisol DeFrancesco. 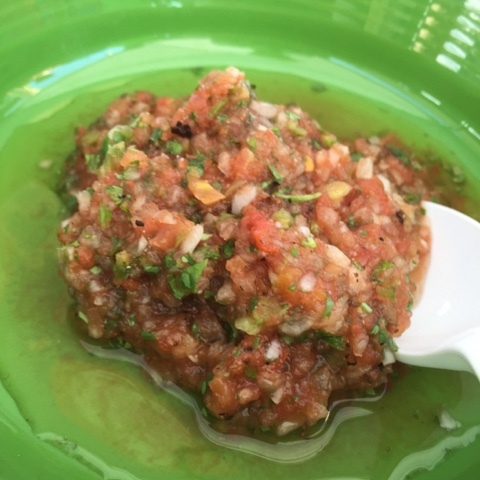 1st Place: Michaela Crabtree with salsa #3 - a zesty, cilantro forward, fresh red salsa. It had a smooth texture that still retained some crunch and snap without being overly smooth. I enjoyed Michaela's use of cilantro. It's a trick I think I'll be using when I can up my next batch of salsa from this season's tomatoes and produce haul. 2nd Place: Nick Cullman with salsa #9 - a smokey, fiery and full-bodied salsa that had a kick of heat at the back end. While this was my favorite - I dig smokey roasted style salsas, I was please to see that the other judges enjoyed it as well. 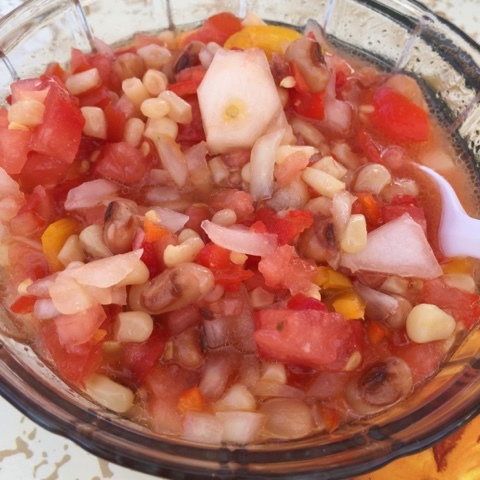 3rd Place: Gerard Martin with salsa #13 - another fresh red salsa, that had chunky hand-cut pieces of onions, tomatoes with the addition of black eyed peas. I thought his use of the peas/beans was a nice touch that added texture and punctuated the sweeter taste of his salsa. Salsa Verde - we had two entries in this category, so both people were assured of a prize of Collingswood Market Cash. 1st Place: Marisol DiFranceso with salsa #15 - tomatillos and a kick! Marisol told me she boiled her tomatillos before she made her salsa, in addition, she used lots of jalapeños in it. She added fresh chopped avocado at the end to finish it and tame the heat. Her's is a recipe I have to have! 2nd Place: John Rinkavage with salsa #8 - cactus, onions, and fresh roasted corn. 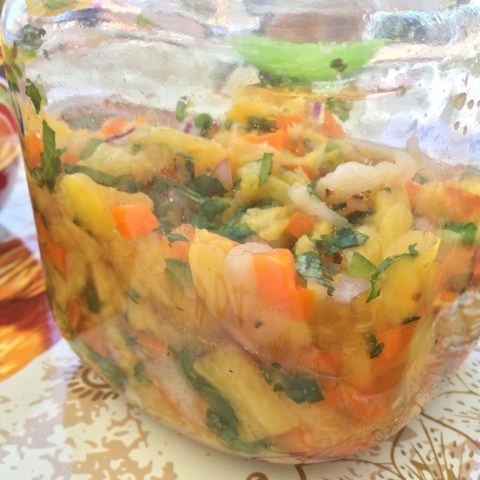 The cactus added a note of tang to his salsa moderated by the corn and lime juice. Another great idea to try in future makings. 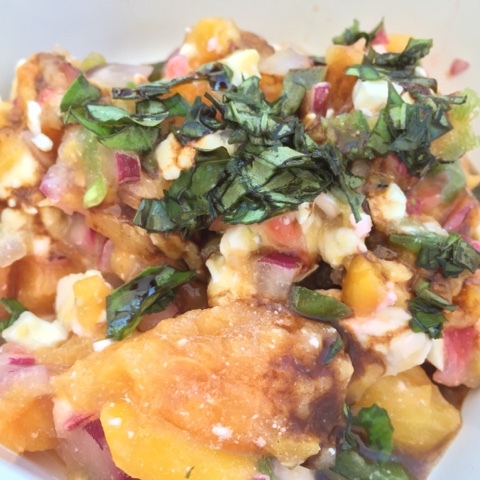 1st Place: Deborah Cullman with salsa #16 - peaches, red onions, a balsamic vinegar reduction, basil chiffonade, and goat cheese! 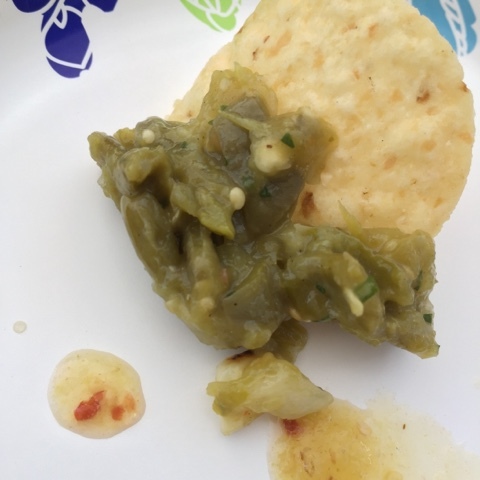 It was by far, the most unique salsa, or tapenade I've ever tasted and judged. Deborah told us that she was going to use this on some fresh cooked salmon for her dinner that night, and I quite agree - it would be dynamite on fish. It would also be wonderful on a crusty bread. 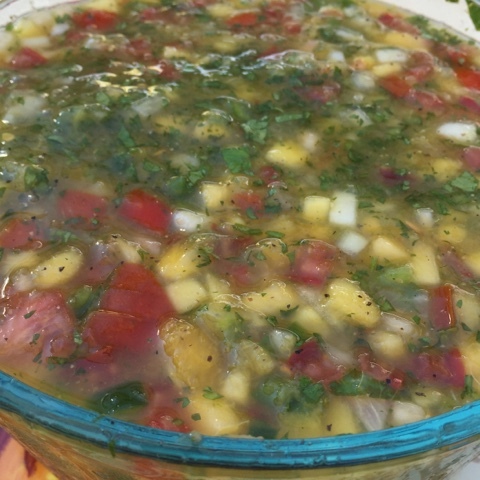 Heather Giovannitti with salsa #5 - it was a medley of pineapple, peppers, tomatoes, cilantro, and onions. It seemed to be a cross between fresh and cooked - as most of the fruit and vegetable pieces, beautifully hand cut, were chunky and vibrant. The sauce was uniform and well-balanced. I could have easily swiped her jar of salsa to take for myself had Heather not disappeared so quickly! Katie Leidy with salsa #11 - with her fruit forward salsa that consisted of Mangos, Nectarines, White Peaches, tomatoes on the vine, onions, cilantro, lime and orange juices. Her salsa was an explosion of fantastic flavors. It was no wonder we couldn't decide on the placement. As for the other two fruit salsas in the contest, they too deserve to be mentioned and described. Greg Dollak's salsa #12 - was technically a fruit salsa but deserved it's own category, as he used avocado as his fruit. He's right, avocados are fruit, a fatty, luscious, and buttery fruit. 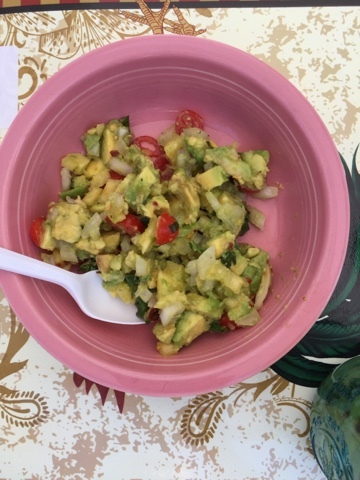 I loved that he used almost all avocado with some hints of grape tomatoes and onions. Melissa Linden's salsa #4 - was a pineapple salsa - with a toothsome texture. Had there not been a pineapple entrant in the contest, I have a feeling with would have had a four-way tie. I was particularly taken with this salsa, having initially voted for it in my top three. It was fruity, sweet and perfectly acidic. I hope that when we get to the 3rd Annual Salsa Contest, we will have more entries to really shake things up. I'm a fan of the salsa contest for many reasons. I love getting new ideas for "borrow" for my own salsa making endeavors but also because it's such a culinary challenge. 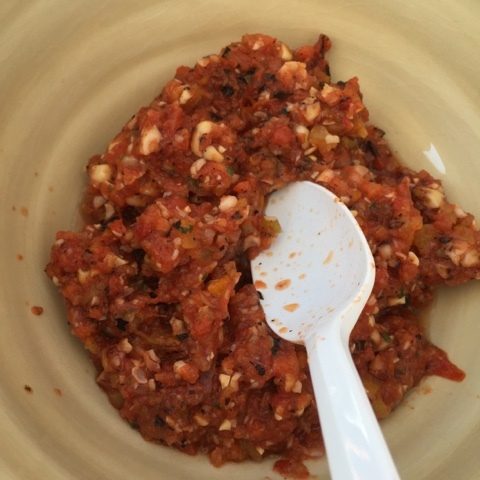 With salsa making, it's the art of cooking and food blending. You chop, sometimes cook, roast, boil or grill foods, and the combine them together to see how they will work together. The initial tastes don't always indicate how the combinations will taste after an hour or even day of marinating/macerating. I love people's interpretations of what constitutes a salsa or a fruit. And best of all, for me at least, I don't go away from the tastings with a sugar rush and feel like I need a bigger dose of my sugar meds! The salsa contest is one that I can truly feel good about being a judge/taster. Congratulations to all of our entrants and I hope to see you and your friends in future contests! Amazing work, Denine. I'm mightily impressed with the quantity and quality of your observations, the time you must have spent, and your dedication to our humble contest. Thank you thank you thank you. Denine, if you share a high-resolution image of the judges' photo from the middle of your montage, I'll use it as the header for the Farmers' Market's facebook page. Thanks!